Joondalup City Dental are your local, experienced team of dentists in Joondalup. We are the most trusted name for dental services in the region. 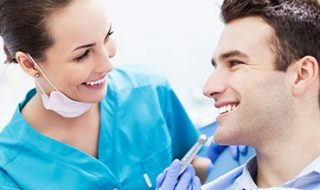 Our dental surgery is located in the heart of the City of Joondalup where we have provided a comprehensive range of dental services to local clients since 1993. We make it a point to provide caring and professional customer service. We know a dentist’s office can be an intimidating place. That’s why we treat you with the compassion and attention that we would give to our own family members. Your smile is one of the first things people notice about you. 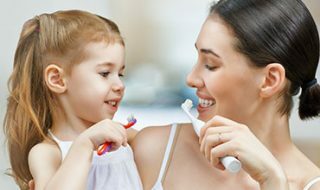 Beautiful smiles from excellent dental health leave a lasting impression. Any surgical or invasive procedure carries risks. Before proceeding, we encourage you to discuss these matters with an appropriately qualified health practitioner. Become part of the Joondalup City Dental family today. We are conveniently located in the Joondalup City Centre. We service all residents in the surrounding suburbs and beyond such as Wanneroo, Currambine, Woodvale, Heathridge and Beldon. If you need an appointment within the next 48 hrs please call our surgery on (08) 9468 7265 to book. We have been providing dental services to the Joondalup area since 1993. We are open long hours Monday-Friday and short hours on weekends. We provide answers to many of our patients’ most frequently asked questions. Mouthguard Now or Cosmetic Dentistry Later?